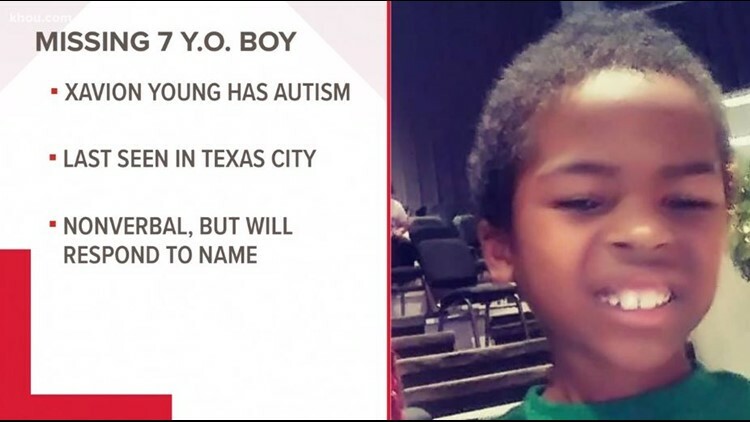 If you see Xavion Young, you're asked to contact the Texas City Police Department at 409-643-5720 as soon as possible. TEXAS CITY, Texas -- Police and volunteers in Texas City are looking for a missing little boy who has autism. The search is underway by ground, air and water with the help of the Texas Department of Public Safety. 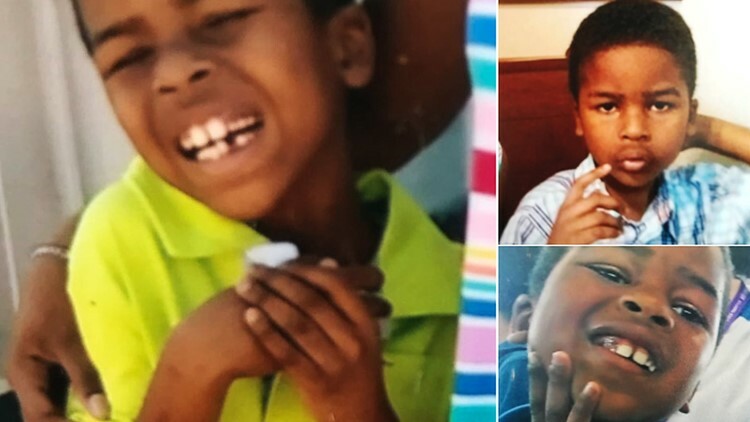 They’re looking for 7-year-old Xavion Young, who was last seen at around 12:15 p.m. Sunday at the Costa Mariposa Apartments on Medical Center Drive in Texas City. Authorities held a press conference with the media Monday afternoon. They said volunteers and officers have cleared two bodies of water near the apartment complex and they are working to clear a third. The Galveston County Sheriff's Officers Dive team was called to search a pond nearby as the boy reportedly liked to feed geese that live in the pond. The child's aunt tells KHOU 11 that Xavion unlocked a back door to their home and went out while his mom was in the bathroom. Xavion is 3 feet tall, approximately 54 pounds and was last seen wearing only gray and white plaid shorts and black and blue Velcro shoes. Police say Xavion is nonverbal but will respond to his name. Police have also requested the help of Texas EquuSearch to help find the child. Volunteers established a command post early Monday. The Texas Department of Criminal Justice has sent two K-9's to help with the search, according to Director of Communications Jeremy Desel. If you see Xavion, you’re asked to contact the Texas City Police Department at 409-643-5720 as soon as possible. "The search for Xavion is starting right now. The sign-in area will be in the northeast parking lot of the College of the Mainland, located in the 1200 block of N. Amburn Rd., Texas City, Texas 77591. We will be in need of searchers on foot and ATVs. Please dress appropriately, and bring your own snacks and water."